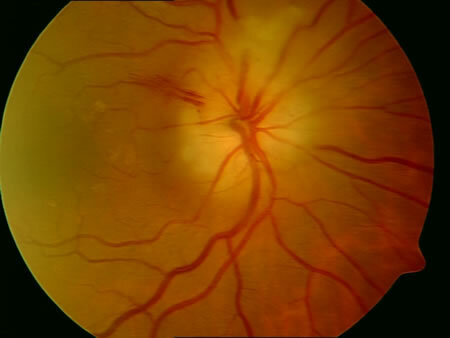 The blood supply to the optic nerve itself is compromised leading to loss of vision. Generally this occurs in the anterior portion of the nerve close to the eye and the effects may be visible on examining the optic nerve as it enters the eye. Less commonly the posterior portion is affected (posterior ischaemic optic neuropathy). The cause is small blood vessel infarction from atherosclerosis in 90% and blood vessel inflammation (mainly Giant cell arteritis) in 10%.